Ultimo Motorsports is the place to go if you are shopping for a high-quality used motorcycle in Chicagoland. All of the bikes in our inventory have been hand-picked and carefully sourced, so you can rest assured that each one looks great and is mechanically sound. We carry a wide variety of motorcycles, from cruisers and sport bikes to touring models and scooters. Every type of motorcycle has its own unique characteristics, and once you’ve found the type of bike that suits your lifestyle, you’re not likely to switch to any other. Our inventory is always changing, so if you don’t find the bike you’ve been searching for, just let us know and we’ll reach out into our wide network of sources to see if we can locate one for you. 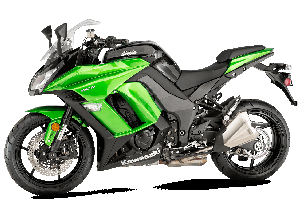 Click on one of the links below to learn about the different kinds of motorcycles that we often carry in our ever-changing used motorcycle inventory. For most people, Harley-Davidson is the first bike that comes to mind when thinking of a cruiser. That makes a lot of sense, since the cruiser style is modeled on American-made motorcycles that flourished from the 1930s to the 1960s, a period dominated by Harley-Davidson, as well as Indian and Excelsior-Henderson bikes. Cruisers generally feature large displacement V-twin engines tuned for low-end torque, which makes them easier to ride as you don’t have to shift gears as much to accelerate or maintain control. At cruising speeds the aptly named cruiser is among the most comfortable bikes you could ride. Long rides at freeway speeds are less comfortable, though, due to the higher handlebars and rather upright seating, which require you to pull on the handlebars to resist the force of the wind. Still, for a fun and classy ride you can’t beat a cruiser. A chopper is basically a customized cruiser. 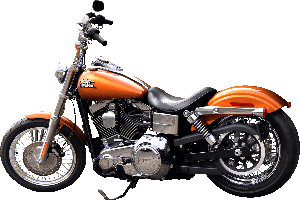 The term “chopper” developed because the bike is a “chopped” version of a standard cruiser, although many choppers are built from scratch. 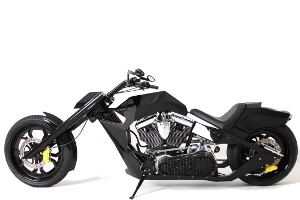 A classic chopper features extended forks that create an elongated front end. The raked angle is usually off-set with tall “ape hanger” or short “drag” handlebars, a larger front wheel, and a stretched frame. One of the most distinctive features of most choppers is the sissy bar, which extends upwards from the rear fender and frame and can be as much as four feet high or more in some cases. Parts that are commonly stripped from a standard cruiser to make a chopper include the front fender, turn signals, mirrors, chain guards, and gauges. The “Captain America” Harley-Davidson driven by Peter Fonda inEasy Rider is probably the world’s most famous chopper. There are a number of motorcycle manufacturers that produce ready-made choppers, but most enthusiasts prefer custom-builds. A touring bike is built specifically to travel long distances. Along with a large displacement engine and a bigger gas tank, a touring bike has design features that provide protection from the weather and wind. The seating is comfortable and usually allows ample room for a passenger. Cargo space for luggage and the like is also more than adequate. With these extra features, a touring bike is heavier, with a wet weight of between 800 and 900 pounds. Fully loaded with a driver, passenger, full gas tank, and gear, a touring bike can weigh upwards of 1,300 to 1,400 pounds. Whether you want a solid bike for your daily commute or a cross country adventure, a touring bike will serve you well. 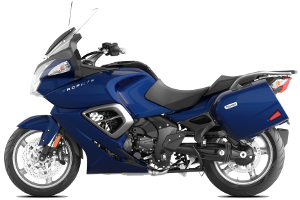 Some of the more popular touring bikes are built by Can-Am, Ducati, Triumph, Harley-Davidson, and Honda. Simply stated, a sport bike is built for speed. Featuring a lightweight frame and most commonly a high-performance inline four or V-twin engine and a high-performance braking system, a sport bike can accelerate, brake, and corner like no other motorcycle. These bikes are designed to facilitate performance with aerodynamic lines, fairing, and windscreens working together to minimize drag. The foot pegs on a sport bike are higher, bringing the knees up and the legs closer to the body. 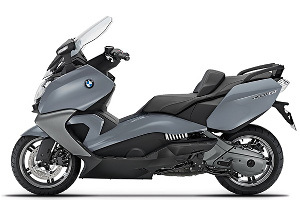 The long reach to the low handlebars is designed to position the rider’s center of gravity forward above the gas tank, so that the rider leans into the wind, an optimal position when hitting speeds close to 100 mph. These are real racers, so if the thrill of a high-performance bike is what you want, then a sport bike is what you need. Honda, Kawasaki, Triumph, Suzuki, Ducati, and BMW all make excellent sport bikes. Three-wheel motorcycles, or trikes, are becoming increasingly popular as a form of commuter vehicle or weekend getaway transportation. There are two types of trike configurations—one is the delta, which has one front wheel with two in the rear, the other is the tadpole, which has two wheels up front and one in the back. Obviously, three wheels create a more stable ride, and when you stop there’s no need to drop your feet to the ground to maintain balance. Trikes are ideal for those with balance or mobility issues. Trikes usually share design elements such as windshields, fairings, and windscreens with cruisers. Between the two front or back tires, depending on whether you have a delta or a tadpole, you’ll commonly find a large storage compartment, perfect for packing all the luggage or gear you need. The cargo capability of the trike also lends itself to commercial delivery uses, especially in traffic clogged urban settings. 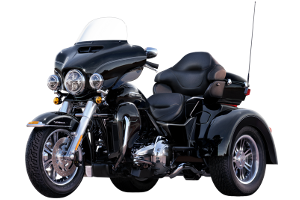 Harley-Davidson and Can-Am manufacture trikes, and there are trike conversion kits available for most any other motorcycle, including Honda, Kawasaki, and Suzuki makes. 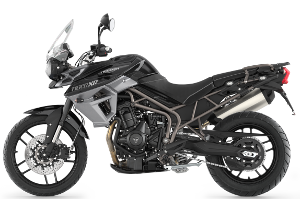 Often referred to as “scramblers,” “adventure bikes,” or “dirt bikes,” these off-road motorcycles are light and compact with knobby tires, a small gas tank, higher ground clearance, rugged constructions, long-travel suspension, and a fairly stripped-down body. Featured in motocross, rally raids, trials, or track racing, dirt bikes are, as a rule, not street legal. If you’d like an off-road bike that is street legal, you may want to look into a Dual-Sport or Adventure Bike. A dual-sport bike is essentially a dirt bike but with lights, mirrors, gauges, etc. – all the equipment required to be street legal. These bikes are thoroughly off-road capable, with long suspension travel and high ground clearance. When Suzuki introduced their DR350 Dual-Sport they described it as “a dirt bike with a license plate.” Kawasaki, Triumph, Honda, and BMW also build dual-sport bikes. Scooters feature a step-through frame with a flat floor that the rider can place his or her feet upon. They have smaller engines and smaller wheels than motorcycles, and their bodies are enclosed to make them quieter. The enclosed body also allows for more storage capability. They generally come with automatic transmissions, making them easier to drive. A popular form of personal transportation, especially in cities, scooters are convenient and affordably priced. The market currently features a wide range of scooters, from the basic and utilitarian to stylish, dynamically designed models. Some manufacturers have built larger scooters with bigger engines. Maxi-scooters, or touring scooters, such as those produced by Honda are actually built on a motorcycle frame. There are also a number of electric-powered scooters available. Vespa, Triumph, BMW, and Honda produce some of the most popular scooters today.